A thrift store treasure. — Lindzsays! A thrift store treasure., originally uploaded by LRose17. Sometimes, after a day of non-stop people and business, all you wanna do is find a neat mug, a cup of tea and keep your phone the hell away from you. Come to think of it, I feel this way most nights. 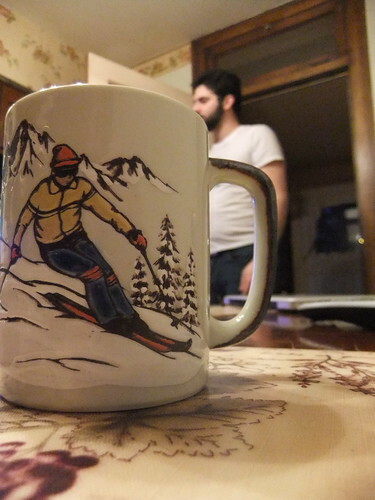 I am jealous of this skier mug that tony found at a thrift store. It may be the best mug I've ever seen. In my life.